​If you’re an intermediate player, you’ve developed your hand-eye coordination, an incredible skill but you’re probably ready to take your game to the NEXT level by learning a few insider tips and tricks. You can stay right where you are (option one). Let’s face it, playing squash is great fun. It improves your eye-hand coordination and your overall fitness. Some players are happy with this, but if you’re a competitive person you certainly want option two – to take your game to the next level! 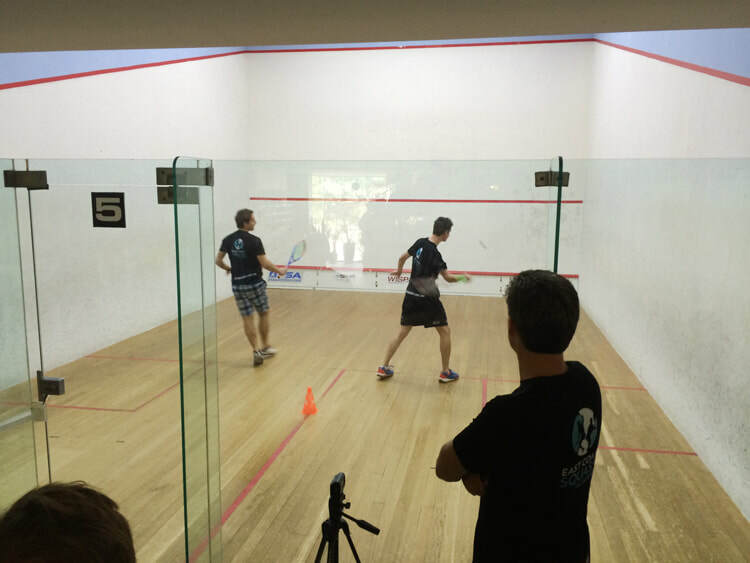 Our Small Group Classes for Intermediate Squash Players will accelerate your training by teaching you the advanced science of squash. Our small group classes (maximum of six players on two courts) offer you an ideal controlled and highly organised environment where players are driven to make the most of their training and help you succeed. Make every minute of your training count by signing up today! Every week you will focus on a specific goal to help you master drills, feeding, and specialised routines using little-known scientific principles that work. We will work on technical skills as well as putting you through a high-intensity workout, including cardio, strength work, and core stability exercises. You will understand how to accelerate quickly and powerfully from any position and glide on the court, without putting unnecessary strain on your body especially knees, ankles, hips and thighs.